It’s been weeks! Proper weeks. Several of your earth days. But we’re back. 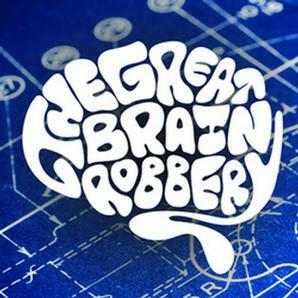 And with a special bumper interview with Luton’s greatest ever sketch/song troupe, The Great Brain Robbery. Indeed, they’re the best thing to come from Luton since the Boeing 747 to Toronto. And we chat about lots of things, but mainly wigs and comedy. Don’t forget to check out their wee run in Edinburgh too, Aug 21-28 at The Caves. On the subject of Edinburgh, you’ll have a chance to gasp at mine and Jack’s picks of the Fringe – the acts we think you’ll love as much as we do. And we love them lots. One of the best sketch group’s of last year’s Fringe can only get better, surely? Extra Stephen Byers. You’ll learn, laugh and love. Well, the first two anyway. A trip into a man’s soul via a collection of straight-to-DVD Disney films. You know, from Flight of the Conchords. David Cross type dark tales of middle-aged living. Mates with Kilstein and Stanhope. 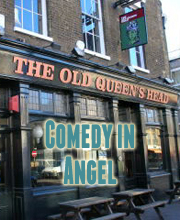 Angry, young, liberal and funny. Hurrah!